The Goulding SleepTalk™ process is the five minute gift parents give their children that lasts a lifetime. The Goulding SleepTalk™ process is easy to learn, takes parents only a few minutes a day at bedtime, and it can’t be “done wrong”. It’s absolutely safe, ethical and positive. SleepTalk™ is for people who are looking for a simple, non-intrusive self-esteem and behaviour change process for children that can help parents achieve what they want most - happy children and happy families. A lot of parents and healthcare professionals say the Goulding SleepTalk™ children’s self-esteem process is magic. It’s not magic. It’s a powerful self-help program developed by educator, speaker and hypnotherapy professional Joane Goulding (pictured above) which parents and childcare professionals have been using for more than 30 years, because IT WORKS. 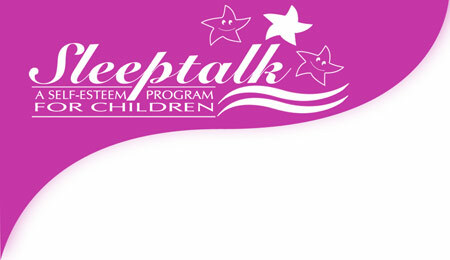 The Goulding SleepTalk™ for Children process works in conjunction with any therapy. It trains parents to assist children to develop emotional resilience, the mind’s firewall, which protects against negative suggestions, much like a firewall on a computer protects it from all risks of outside interference and damage. 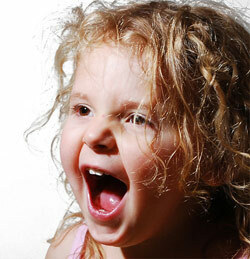 The process assists children to develop and/or retain a positive, confident, happy self image which lasts for life. As parents we know how children are affected by events in their lives and how this can manifest into behavioural difficulties, self esteem issues, lack of confidence and problems with social interaction. When our children are suffering, as concerned and loving parents we want to do whatever is best for them and their future. Most of the time we try to deal with it ourselves the best way we know how, it’s challenging to say the least, isn’t it? There’s no need to suffer alone anymore. In today’s challenging times the Goulding SleepTalk™ process also instils resilience, giving children the confidence to say, “NO”. It helps create positive relationships that parents want with their children. And these changes permeate though the entire family leading to a harmonious, happy and bright future. I was introduced to the Goulding SleepTalk™ process when my child had been through a series of events that left him with behavioural challenges. After training personally with Joane Goulding, SleepTalk™ rescued me and my child, and now he exudes all the happiness that we all want our children to experience from life. SleepTalk™ not only gives your child a wonderful opportunity to reach their full potential, it also greatly helps with habitual behaviours or difficulties. Call me on 07830 946565 for your Free Consultation and find out how SleepTalk™ can help you.